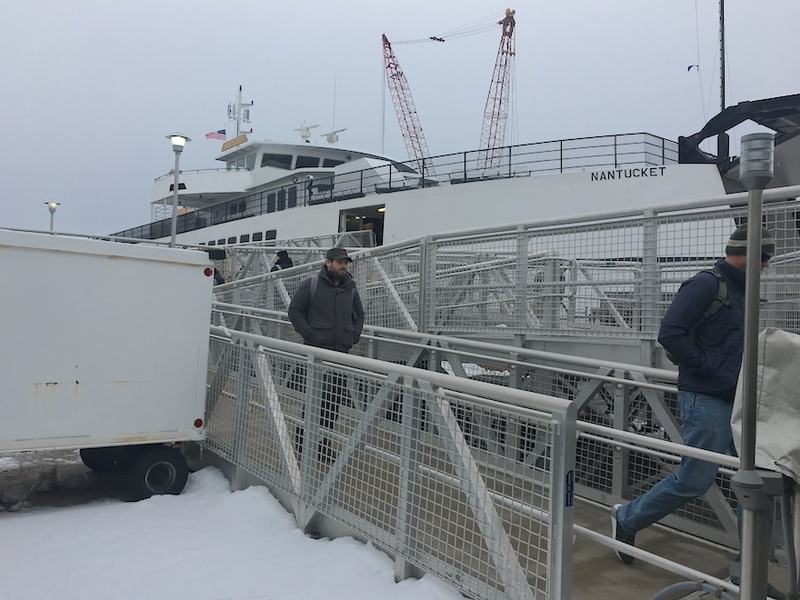 The passenger ramp at the Steamship Authority’s Woods Hole terminal, which had been out of commission for the better part of a week, was back in use Friday morning. 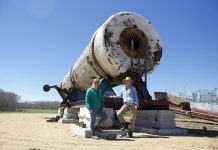 In a text message Thursday, Sean Driscoll wrote that the ramp had been damaged by wind earlier in the week. Though Driscoll wrote that the SSA hoped the ramp would be fixed by midday Friday, it was in use Friday morning. The lack of a ramp forced walk-off passengers onto the crowded freight deck with vehicles to disembark. 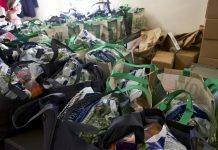 On Thursday afternoon, walking passengers were asked to wait while vehicles cleared the freight deck of the MV Nantucket.